The large sliding doors that we create using our solid patented torsion box composite door substrate are lighter in weight and stronger than other solid core doors manufactured elsewhere. 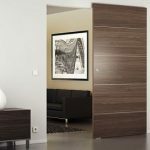 Our process enables the creation of large doors, taller than 7 ft (up to 50 ft) that can be guaranteed not to warp, bend, twist or otherwise fail for fifty years. 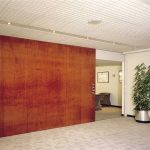 Though we only make the door blanks for custom door builders, millworks and door manufacturers, we can recommend the following sliding door hardware for use with our large sliding doors. 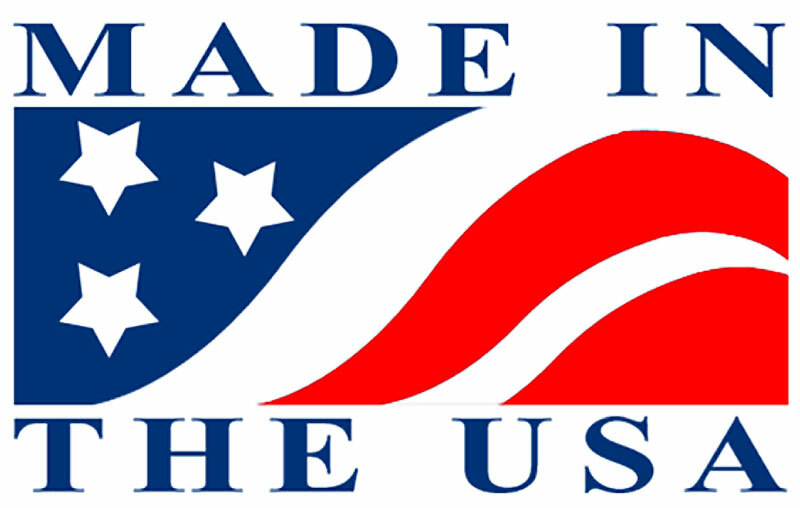 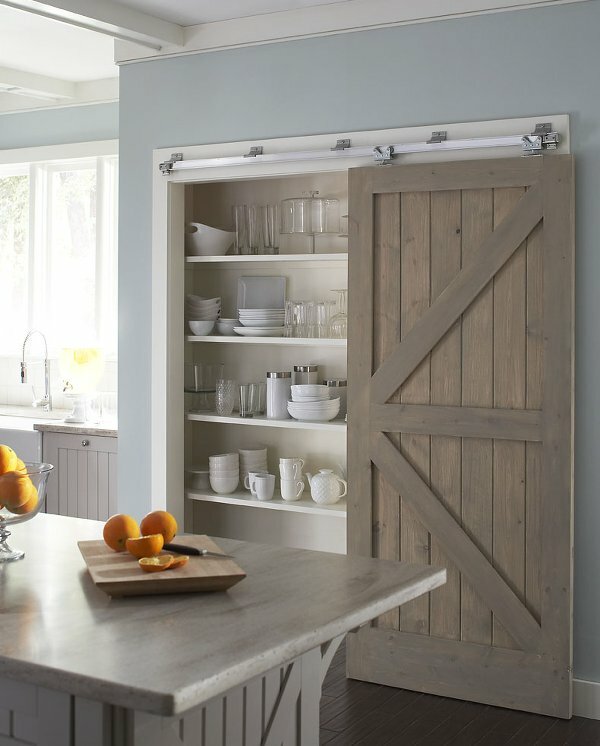 Johnson Hardware has an industry standard solution for sliding door hardware addressing the needs of both residential and commercial applications. 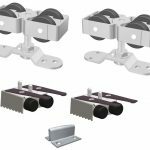 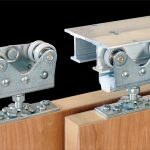 This hardware wears well over time while continuing to perform smoothly and quietly along it’s I beam track. 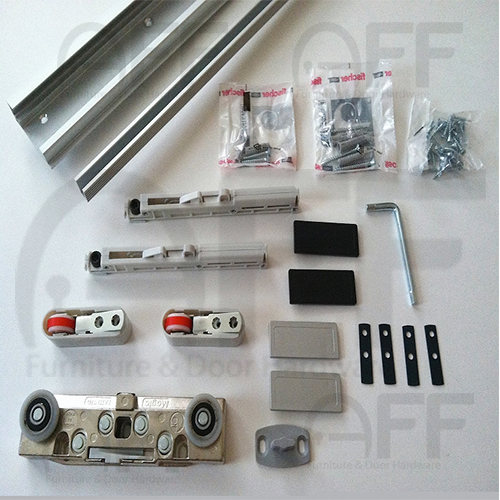 In most cases just using this hardware can take your good sliding door to great sliding door. 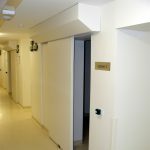 When combine with our lightweight high strength doors (which could even be extremely large in size) will last even longer maintenance-free. 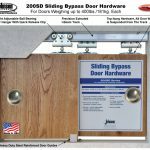 Speaking of large sliding doors, Johnson’s 200SD is rated to handle up to a 400 pound sliding door; that could be a 10 ft. x 20 ft. large sliding door if built with our patented large sliding door core. 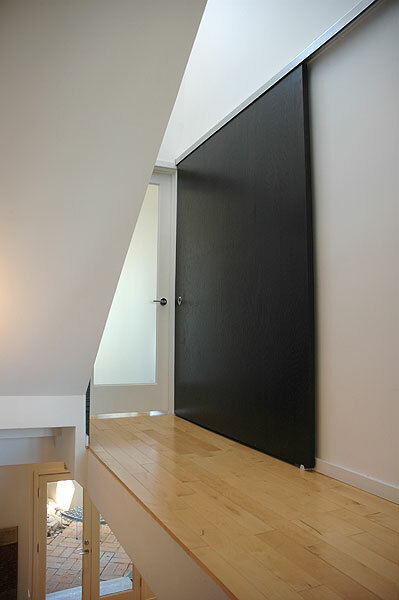 For that sleek floor to ceiling appearance, the recessed sliding door mount in Sugatsune SDR A300TS sliding door hardware fits the bill quite nicely. 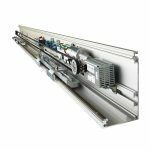 Build for rugged, commercial use the SDR A300TS is designed to handle large sliding doors up to 600 lbs. 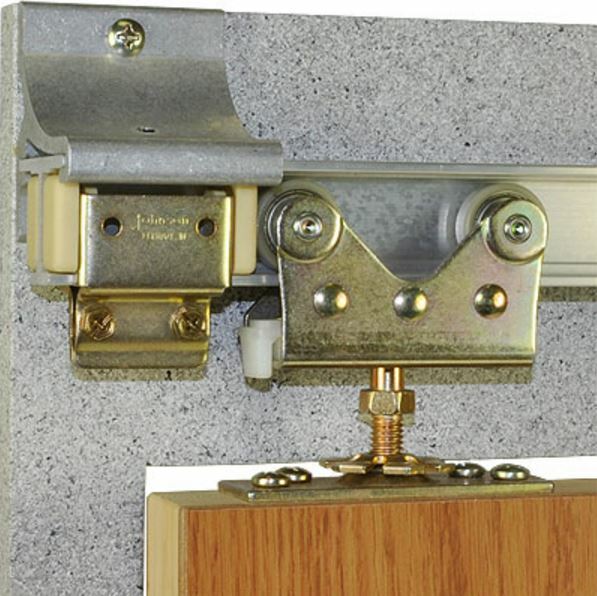 The Sugatsune SDR A300TS utilizes double rollers, revealing only an eighth-inch gap at the top of the door for that sleek, high precision low profile. 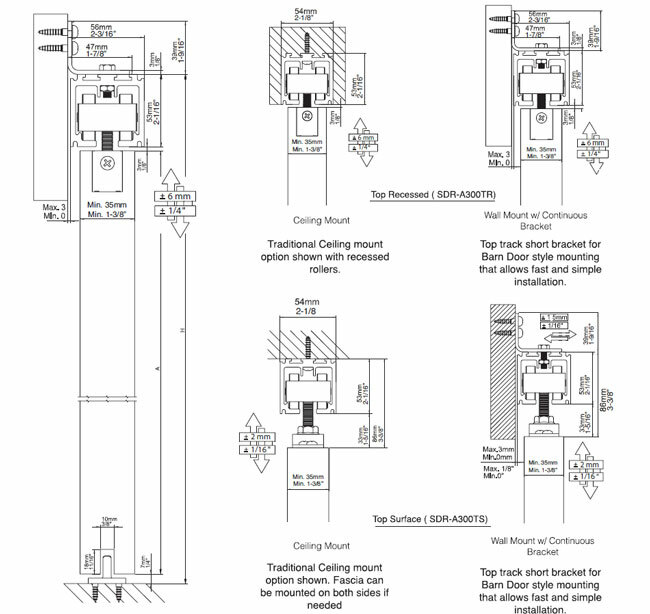 Use two separate 16 ft. 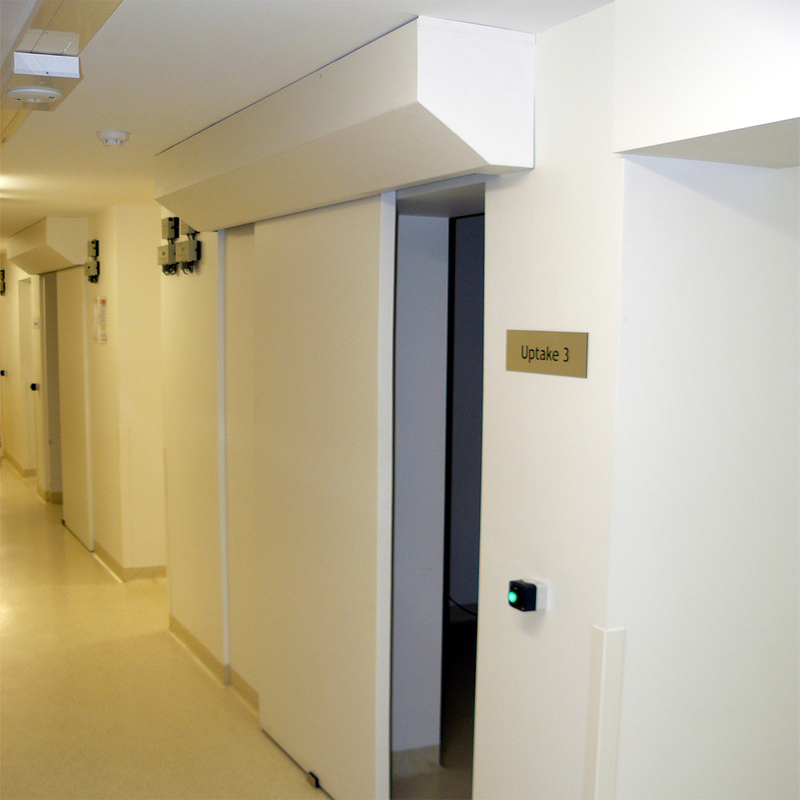 I beam tracks and Johnson’s 200WF sliding door hardware and two of our 8 ft x 8 ft sliding double door panels for a 16 ft opening separating two spaces with large sliding doors when closed, or slide doors into the open position to create a large wide open space. 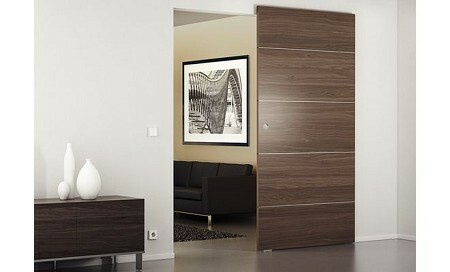 Easy to install, the Johnson 200WF sliding door hardware is wall mounted with no complicated carpentry necessary and the aluminum fascia completes the installation nicely with a professional architectural grade anodized aluminum finish for that extra sense of style complimenting your modern sliding doors. 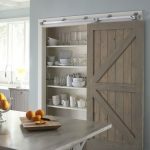 Johnson 200WF sliding door hardware is rated to handle up to 400 lbs for each sliding door panel and can double as sliding pocket door or barn door hardware. 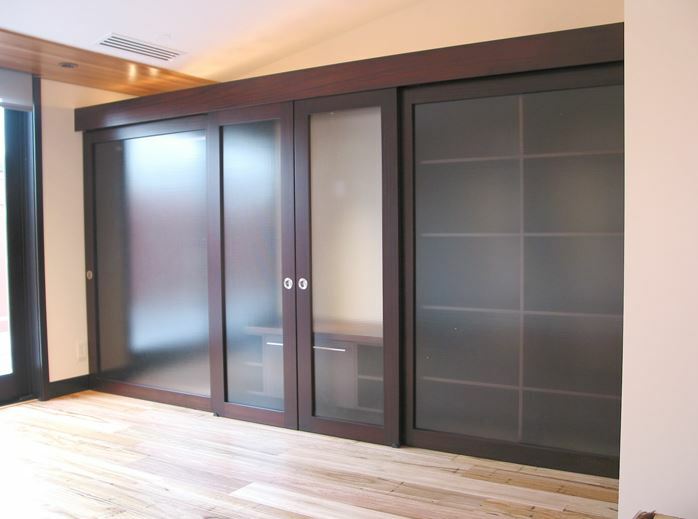 Imagine a 10 ft tall sliding door 8 feet wide with no visible track on the top or bottom. 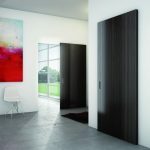 This is only possible with using the unique combination of our large sliding door with patented lightweight high strength substrate and the AFF Magic 1800 concealed sliding door hardware which is virtually invisible. 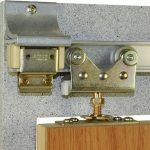 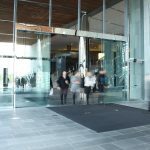 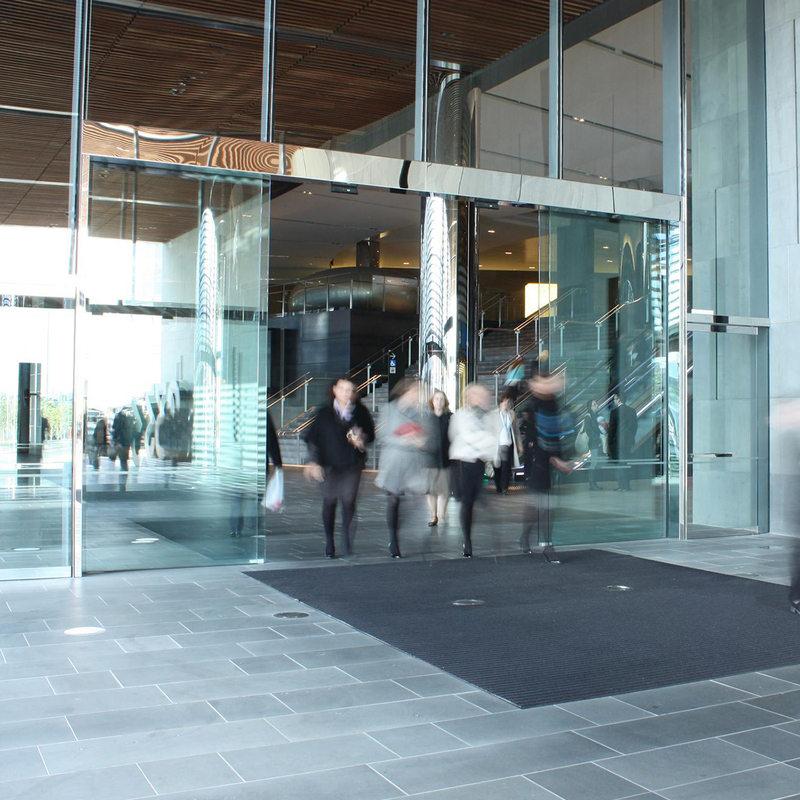 It’s an invisible but attention grabbing hidden hardware design feature that maximizes the high precision of the lightweight and superior strength of the our large sliding door characteristics and can host a door weighing up to 176 lbs. 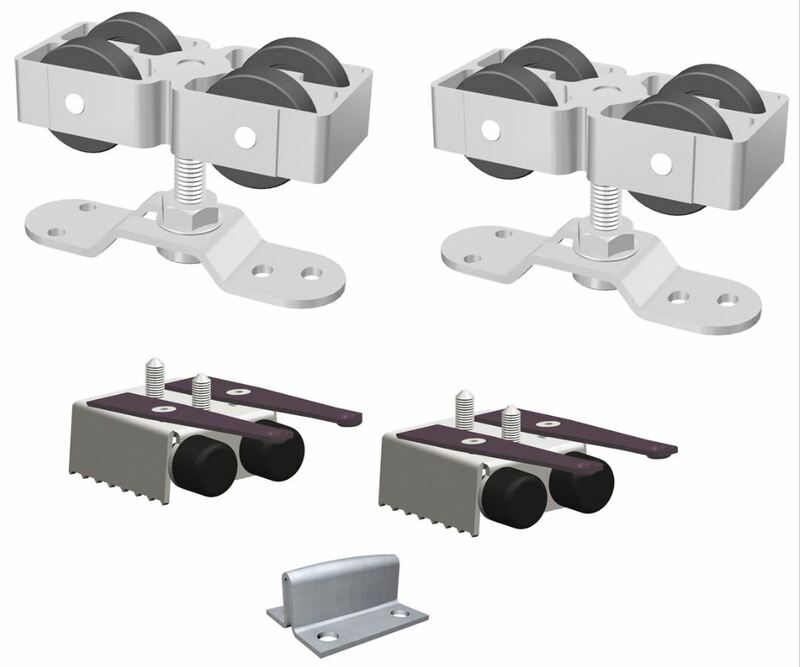 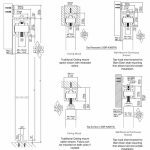 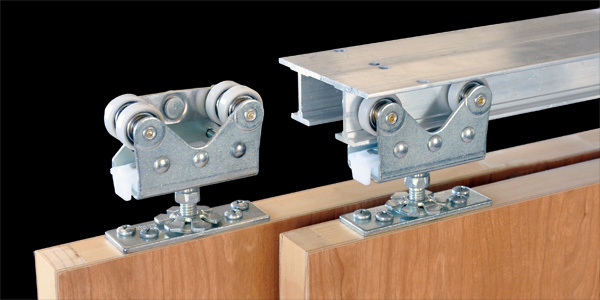 for external mounting of floating wall sliding doors that includes shock absorbing stops. 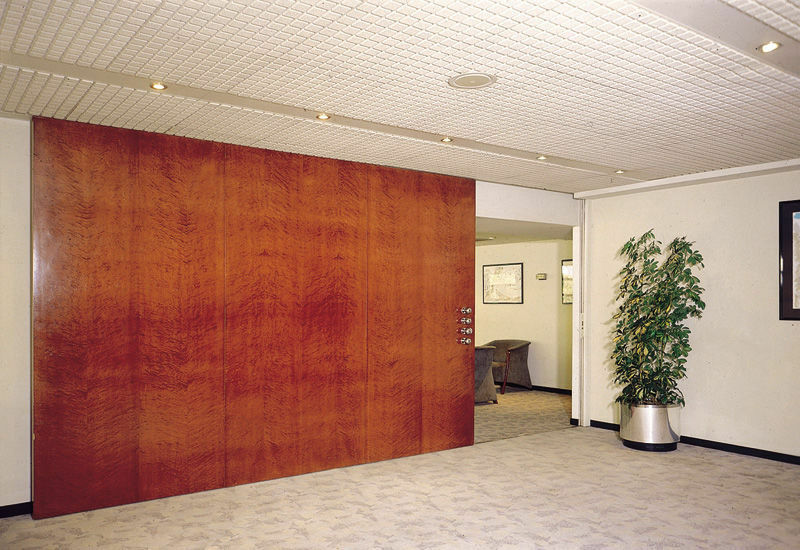 Industrial applications of doors may require large doors made with heavy materials, like metal, concrete, lead or steel. 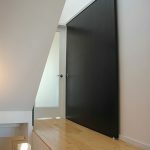 In instances like this, using our large sliding door substrate inside the door will help mitigate the shortcomings of such a heavy door by making it lighter in weight and in many cases stronger than it would have been otherwise while adding insulation qualities. 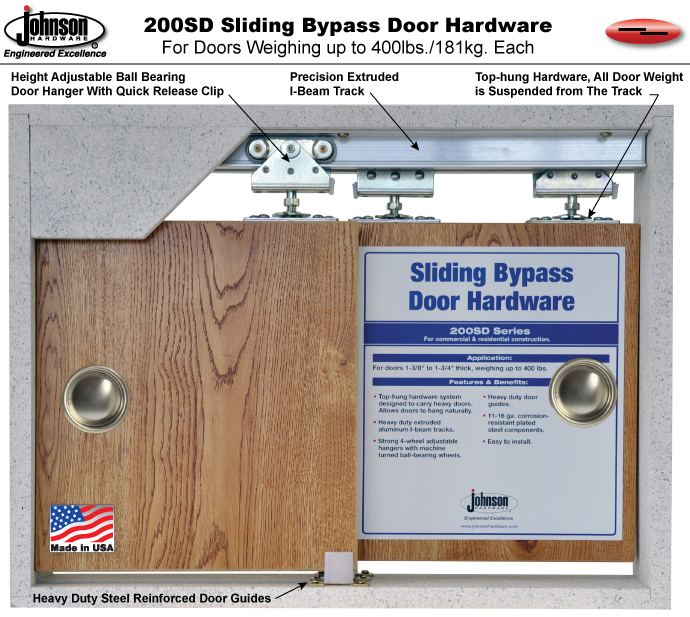 The lighter weight your door material, the bigger your large sliding door can be as the Dorma AL 1001 heavy duty steel track system and automatic operating mechanism can handle up to a whopping 2200 lbs.